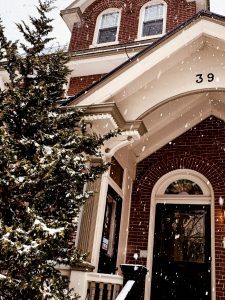 Brian Chapman Hair Salon is a certified L’Oréal Professionnel Elite Salon and you can find us in a beautifully restored Victorian house overlooking the Mercer Museum in Doylestown, PA.
We specialize in precision cutting and the latest coloring trends. In fact, our European educated stylists attend monthly courses to maintain their competitive edge. We have experience working with clients of all ages, ethnicities, and hair types. So we encourage you bring the whole family by for an appointment! Our clients mean the world to us. This salon has been here for over 40 years becoming a true pillar in the community we know and love. We have built a network of clients who count on us to deliver them with the best of the best. And we work every day to exceed those expectations. At the end of the day, that’s what this is all about: providing an experience that you won’t find anywhere else so that you can leave looking great and feeling even better! So reserve your service today and find out why so many clients keep coming back. We won’t disappoint! After working side by side with Brian for over 3 years and taking clients when she could, we are excited to announce that Amanda now has her own chair! Thanks to your support and our amazing team we’ve been able to promote her to a full-time stylist. She will be accepting new clients during regular salon hours. All new clients will receive a $20 discount on their first service and a complimentary Power Mix Treatment & scalp massage at a $20 value! Call Now to reserve your service with Amanda! Follow Us on Facebook, Instagram, and Google+. 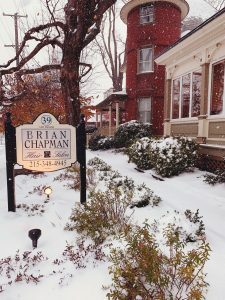 Feel free to contact us by using our online form, emailing info@brianchapmansalon.com or calling us at 215-348-4945.